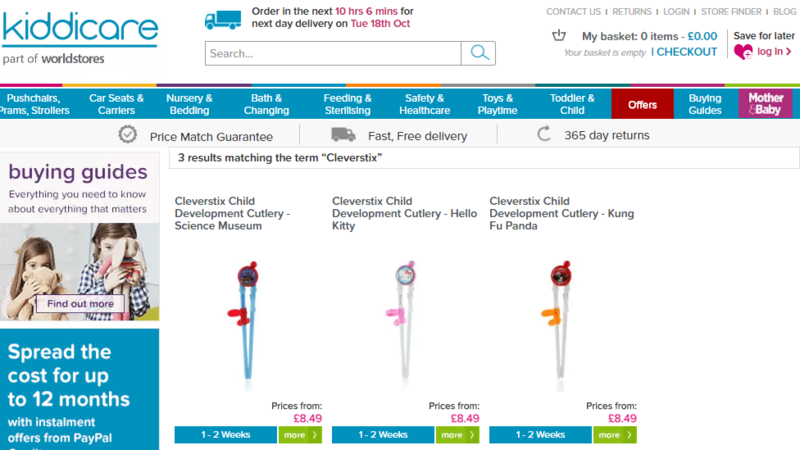 CleverstiX Child Development Cutlery is now available via the long established UK retailer Kiddicare, who now stock the product range via it’s website, Kiddicare.com. Established in 1974, Kiddicare subsequently launched it’s website in 1999 and is now part of WorldStores, “the UK’s largest online retailer of products for the home and garden“. 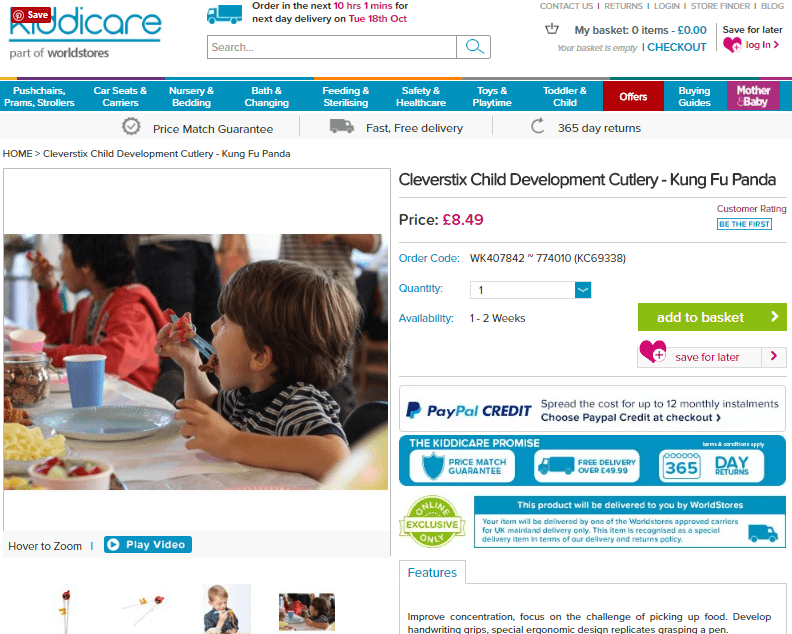 The listing of CleverstiX Child Development Cutlery – designed to make mealtimes easier for children and parents – perfectly comlpiments Kiddicare’s own pledge to do “what we do best – making life happier and easier for parents“. The listing represents the a significant CleverstiX placement by nursery retail distributor bébélephant . Visit the Kiddicare website here.